A one-way or return trip on the St Kilda Ferry provides great enjoyment at an affordable price. Payment can be made at the pier prior to your departure. 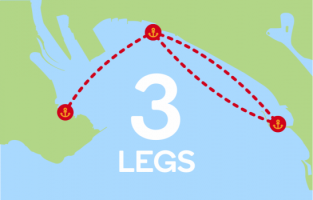 Travelling between Williamstown and Port Melbourne, or Port Melbourne and St Kilda is considered one leg. 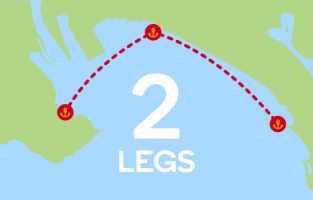 Travel between Williamstown and St Kilda is considered two legs. 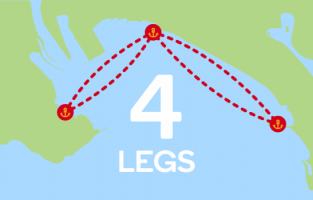 Williamstown to St Kilda and return is a 4-leg journey. To calculate the price of your ticket, simply add the number of legs you will be travelling, or ask our friendly team to help determine the right price for your travel. Book online or Pay at the pier. ¹ Family is defined as 2 adults and 2 children. ² Children are 4 to 16 years, under 4 travel free.